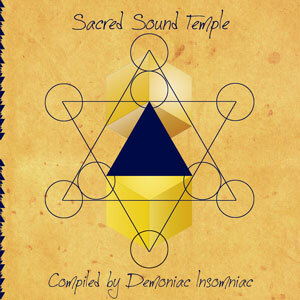 Active Meditation Music celebrates its fifth birthday with Sacred Sound Temple, the first of a planned three part series of free compilations featuring some of the best artists in night-time psychedelia. The idea here is to give something back to all the fans who have shown support in the past. Feel free to share this music with your friends and write us feedback. You can also support us by giving us donations. Om Namo Narayan! All tracks compiled and mastered by Demoniac Insomniac. MP3 Download | FLAC Download | WAV Download · Download count: 9,107. That’s it. Hypnotized on the dancefloor. essa do dog of tears e foda demaiiis… belo V.a!! nice to hear a dark psy that focuses less on the dark elements. luvving it so far! Grear website. The Gods bless!